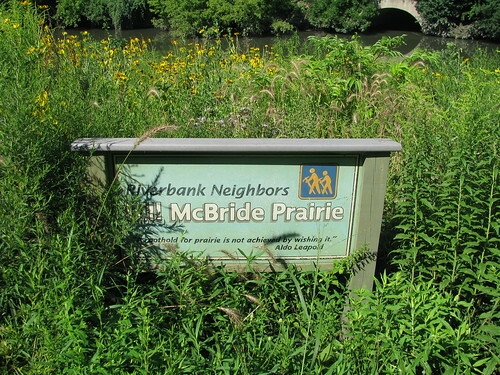 Riverbank Neighbors was organized in 1993-4 to try to fix up the east bank of the river from Montrose to Berteau. It was a dump: barren, eroded, and a hiding place for rascals of all types. Neighbors began by removing tons of debris, trimming back vines, building steps, paths, and terraces, and planting with native plants. The plant community helped to create a turf that reduced erosion. 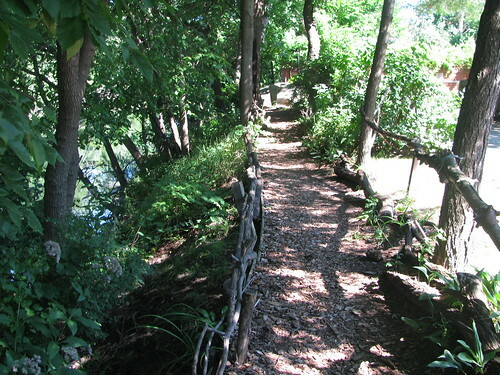 The clearing of non-native brush helped make it possible to see the river from the top of the bank, and the paths and steps created easy access for families, moms and dads and kids, oldsters, and fisherfolk. The founders were mostly locals that liked to work with others and wanted a more beautiful place to live. 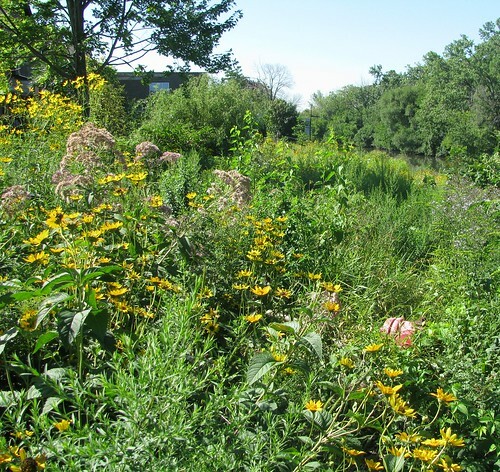 All of the park’s managed area is native plant communities including woodlands and prairies. Riverbank Neighbors works with the Nature Conservancy, the North Branch Restoration Project, Waters Elementary School, and Friends of the Chicago River. 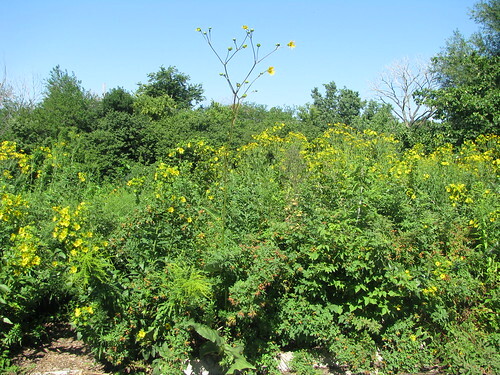 They probably have almost 100 different species of native plants, including some young heritage bur oaks from Waters school and a variety of other shrubs including hazelnut, elderberry, and gooseberry. The nighbors celebrate the beginning of each season with a big community potluck, sometimes hosted at a neighbors house, often outdoors. The Riverbank Neighbors birthed the Bullfrogs Community Choir that sings an eclectic mix of songs for many community events. The potlucks always feature a big circle: a sharing of news, thoughts, and songs from each participant.